This ticket allows general access to Take Off Festival all 5 days from Tuesday 25 June to Sunday 30 June. This ticket allows VIP access to Take Off Festival all 5 days from Tuesday 25 June to Sunday 30 June. You will have access to the VIP Balcony & area in all major events, including fast track entrance to the after-parties! To Purchase this you must have either a Take Off Festival ticket or Deposit secured, as a boat party ticket is usually £55+ - As this is a Bolt-On ticket. Please use this ticket to board the coaches to the Boats at 2 pm on Wednesday 26th. All info will be emailed to you directly. The ticket includes an hour of free Booze on your boat. 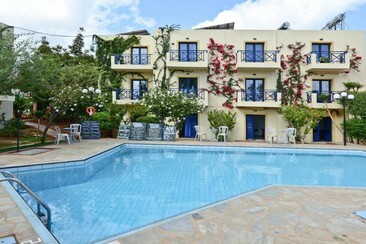 Ceratonia is located within a 15-minute walk from the lively centre of Malia. Hersonissos is 8 km from Ceratonia, while Ágios Nikólaos is 24 km away. Heraklio Town is 31 km from the apartment. The nearest airport is Nikos Kazantzakis Airport, 27 km from the property. Ceratonia offers a seasonal outdoor pool and sun terrace. Guests can enjoy a drink at the on-site bar. Free private parking, bike hire and car hire are available on site. The apartment features free WiFi. All units have a seating area. There is also a kitchenette equipped with a refrigerator. There is a private bathroom with shower and hairdryer. Milos Studios is located in Mália, 30 km from Heraklio Town. A big choice of restaurants, tavernas, coffee shops, as well as supermarkets are within walking distance. The entertainment centre (Malia Strip) is only 500 meters away with plenty of bars and clubs. Golden sandy beaches are within easy access (less than a km away). 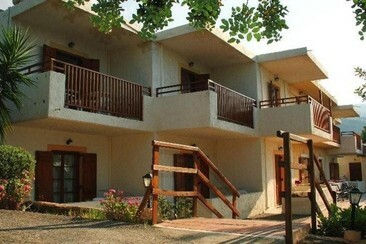 Milos Studios enjoys a peaceful location, comfortable accommodation and friendly service. Milos Studios offers 24-hour reception, free parking. This also has an outdoor swimming pool, garden and bar/lounge. Each apartment features free WiFi and a furnished balcony, plus a kitchenette with a refrigerator and a stovetop and a private bathroom. Comfortable, private and convenient transfer A private airport transfer for up to three people from Heraklion Airport to Hotels in Malia. Comfortable, private and convenient transfer A private airport transfer for up to three people from Hotels in Malia to Heraklion Airport. Comfortable, private and convenient transfer A private airport transfer for up to six people from Heraklion Airport to Hotels in Malia. Comfortable, private and convenient transfer A private airport transfer for up to six people from Hotels in Malia to Heraklion Airport. Comfortable, private and convenient transfer A private airport transfer for up to three people from Chania Int'l Airport to Hotels in Malia. Comfortable, private and convenient transfer A private airport transfer for up to three people from Hotels in Malia to Chania Int'l Airport. Comfortable, private and convenient transfer A private airport transfer for up to six people from Chania Int'l Airport to Hotels in Malia. Comfortable, private and convenient transfer A private airport transfer for up to six people from Hotels in Malia to Chania Int'l Airport. 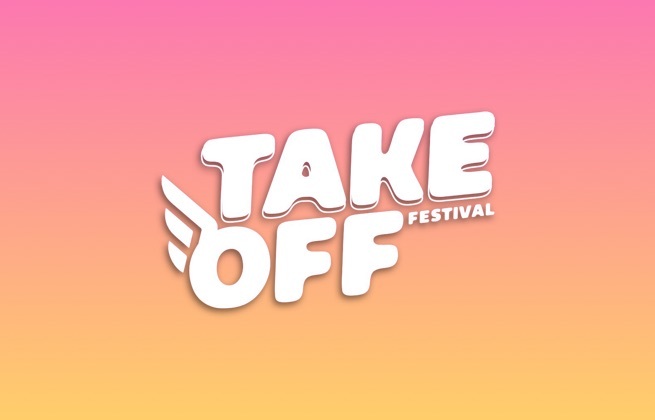 Take Off Festival is a brand new urban music festival and island getaway, inviting fans to Malia for six days of pool parties, beach parties and boat parties. Joining them for their debut will be some of the scene's hottest artists, including AJ Tracey, Hardy Caprio and Headie One as we party on one of the Mediterranean's most popular destinations. The festival takes places at various venues and locations in Malia, a town on the Greek island of Crete.